• Exhibitor agrees to pay in FULL all vendor fees for exhibition space payable to Afropolitan Youth Association. Vendor contract is null & void unless complete payment is received. • Exhibitor hours are Saturday & Sunday 1PM to 8PM. Exhibitor agrees to dismantle its display and move its property from the exhibition area no later than 9PM on Saturday & Sunday. Extra fees incurred by the festival will be charged to vendors exceeding this time frame. • All of your items must fit in your allotted 10 x 10 space for retail/nonprofit vendors and 10 x 20 for food vendors. All Vendors must bring their own Tent, Table and Chairs. FestAfrica will not provide any equipment. • Exhibitor is NOT permitted to leave any items on premises overnight on Saturday or Sunday any items left overnight are not the responsibility of Afropolitan Youth Association, ‘FestAfrica’ , or its sponsors. • Exhibitor understands and agrees that Afropolitan Youth Association ‘Fest Africa’ and its sponsors are not responsible for loss of, or damage to goods or property of Exhibitors or personal injuries to the Exhibitors and/or its’ employees; upon signing the Agreement expressly releases Afropolitan Youth Association ‘FestAfrica’ and its’ sponsors from all claims. 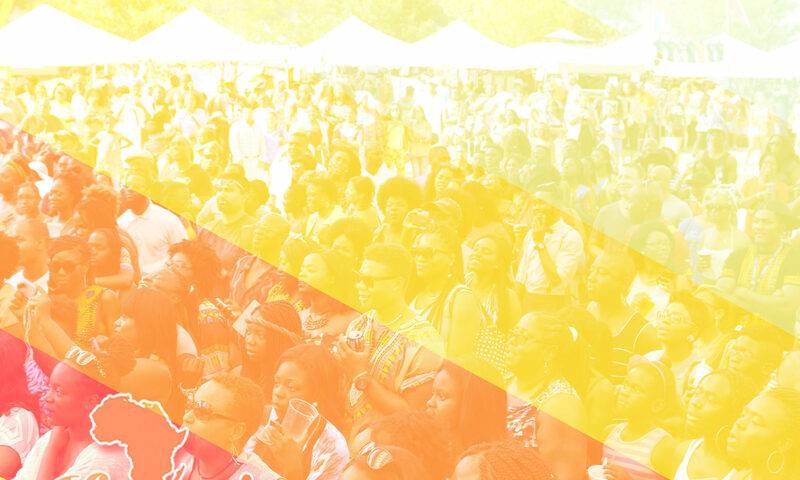 • Vendors sharing a space must be pre-approved by FestAfrica. Vendors are not allowed to “sell” a portion of their space to another vendor during the event. Please be advised that perpetrators will be asked to leave premises and no refunds will be issued. • Exhibitor agrees to abide by all instructions given by designated identified FestAfrica committee and stay in your assigned vendor space. Your assigned vendor space is for both festival days. You cannot move to another space without acknowledgment of the Vendor Director. Exhibitor warrants that it will obey all rules, regulations and laws of the State of Maryland. • Exhibitor agrees that any violations of regulations, which are hereby incorporated into this agreement or provisions of this agreement occurring during FestAfrica will result in immediate termination of said Agreement and Exhibitor removal from the exhibition area. In case of vendor removal, all fees are forfeited. • Exhibitor understands and agrees that should they cancel space reserved under the Agreement after July 1st, 2017 they are not entitled to a refund and all fees are non-refundable. Exhibitor agrees to the terms of this Agreement and is consistent with the laws and the courts of Maryland. • Food vendors are responsible for acquiring all necessary food service permits. Food inspectors will be on the premises during the festival. Exhibits must clearly post all prices. • FestAfrica is not responsible to provide electricity. All electrical appliances must be 110v or less. Extension cords must be secured to the ground with tape. Limited spaces with access to electricity are available. • Exhibitors must clean up their space at end of the day, leaving no grease, hazardous materials, or trash. • Vendors cannot sell any Alcoholic Beverages. Absolutely no selling of Bootleg DVDs, CDs, VHS or any other illegal materials on festival premises; music vendors, be aware of new pirating laws. Please complete the online VENDOR APPLICATION FORM. Applications will be reviewed to ensure they align with the theme of FestAfrica. Once application is accepted, you will be sent an email invoice via PayPal. Once invoice has been sent you have 14 days to make payment; no spaces will be held!